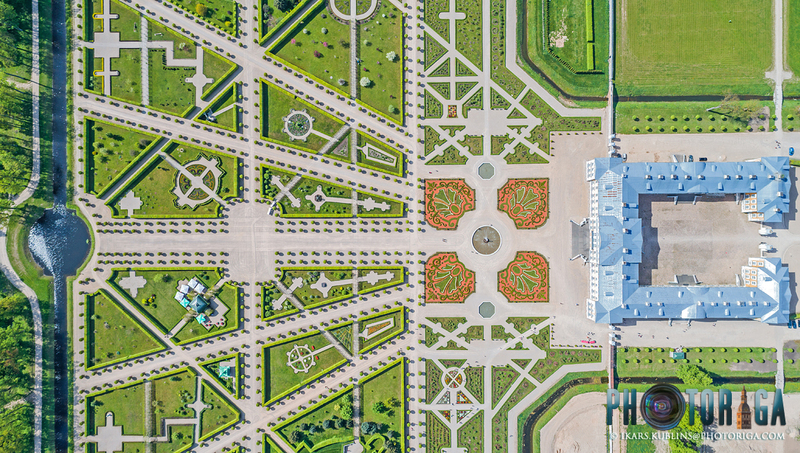 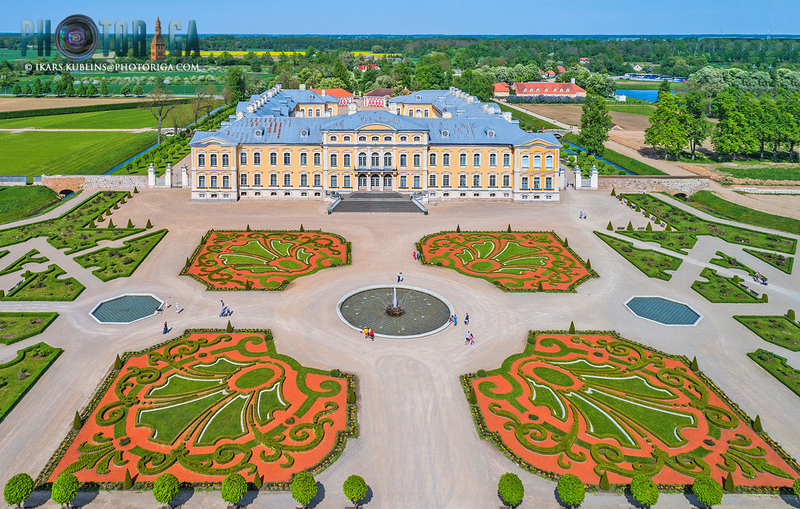 This baroque and rococo masterpiece of 18th Century is one of the most important and most popular architecture and landscaping ensembles in Latvia. 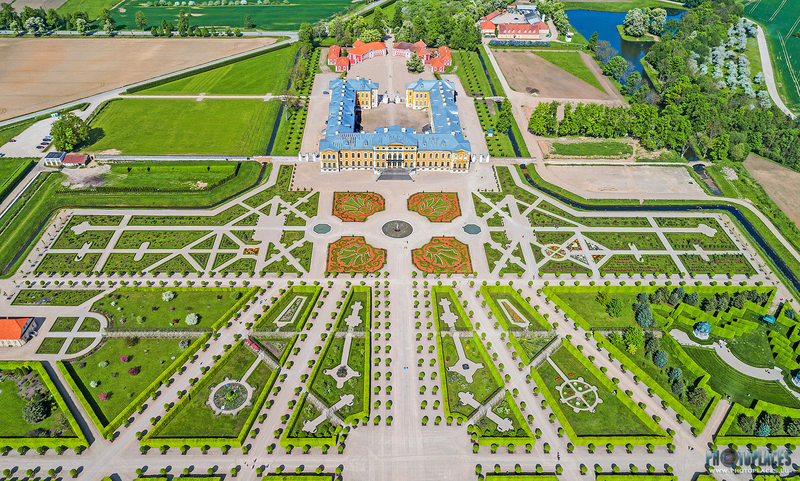 The place offers an idyllic and noble feeling, providing an option to fit in the dream of aristocracy for everyone. 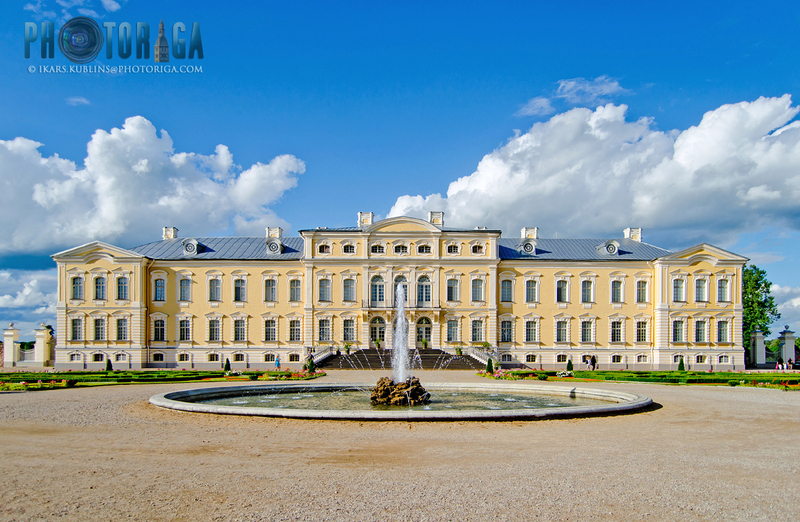 People loves it - Rundale palace with it's quarter-million visitors per year surely is one of the most visited and most famous Latvia buildings outside capital city Riga. 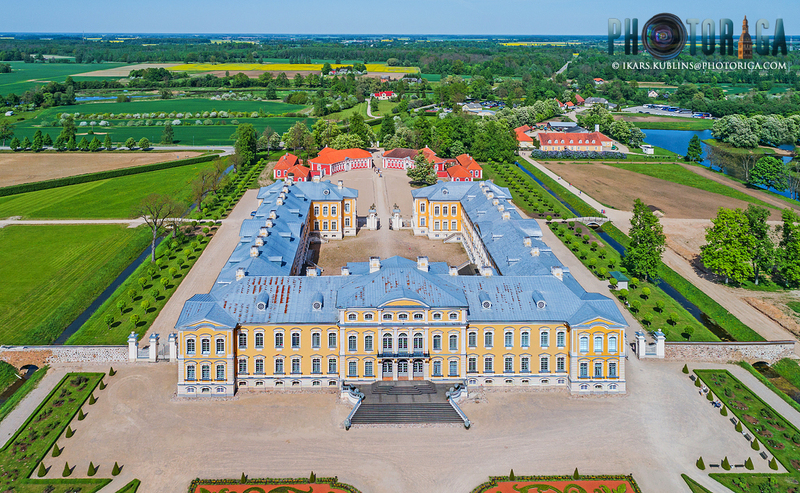 Rundale palace was started to build in 1736 by Ernst Johann von Biron, Duke of Courland. 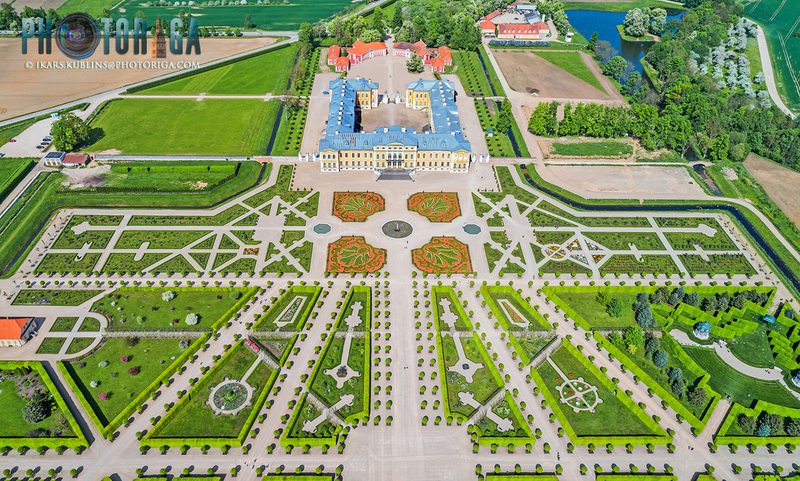 It's construction works went fast, however got interrupted because the Duke fell into disgrace by the rulers of Russian empire and was exiled to Siberia. 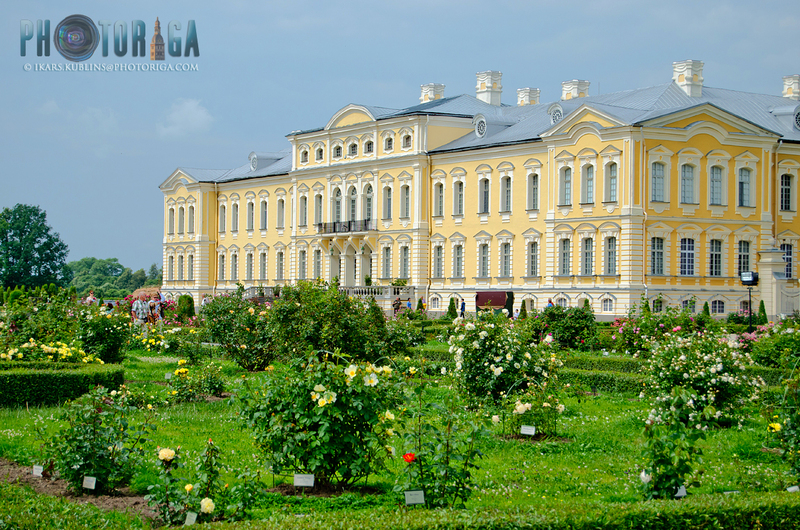 However he got back years later, the construction was resumed and the palace was finished in 1768. 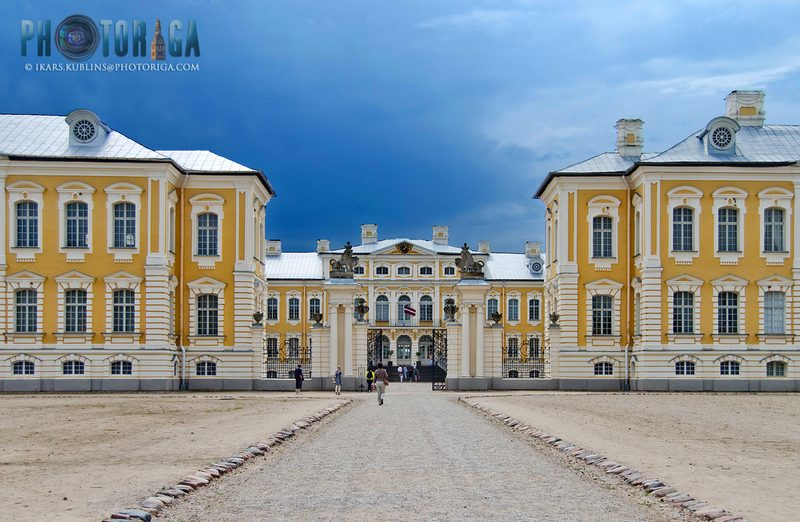 Rundāle palace architect is famous Italian Bartolomeo Rastrelli - the same one who has designed also Winter palace of Saint Petersburg. Rundale palace has been several times destroyed since it's completion. 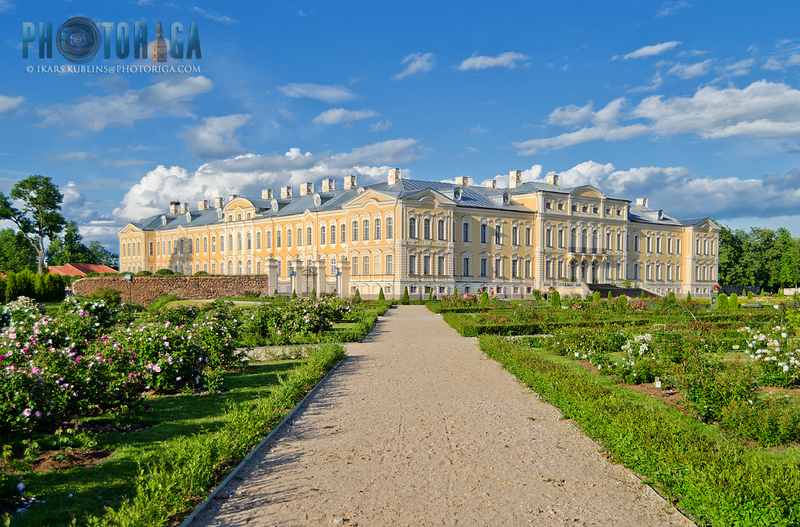 It has been especially "favoured" by military personal - Napoleon army resided (and demolished the palace) there in 1812, the same was done by Germans and Russians (commanded by Pavel Bermondt) a century later. 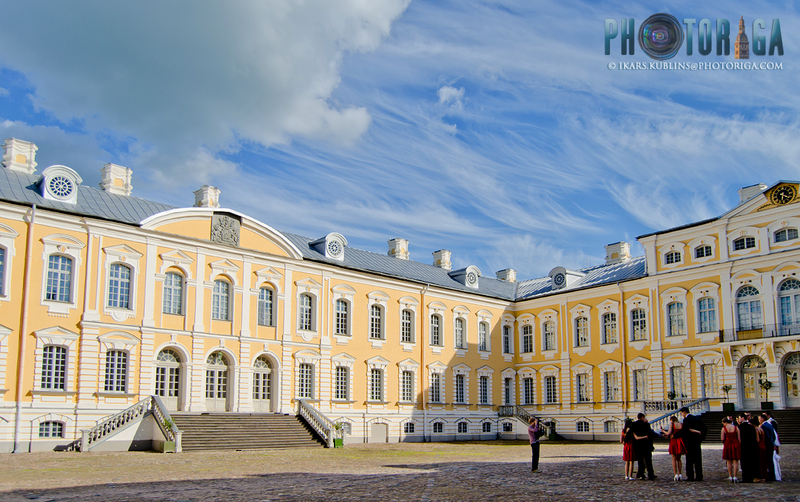 Only in 1972 Soviet power recognized the importance of Rundale palace and the renovation works gradually started. They were finished in 2015 (of course, additions and improvements are and will be still going on also further). 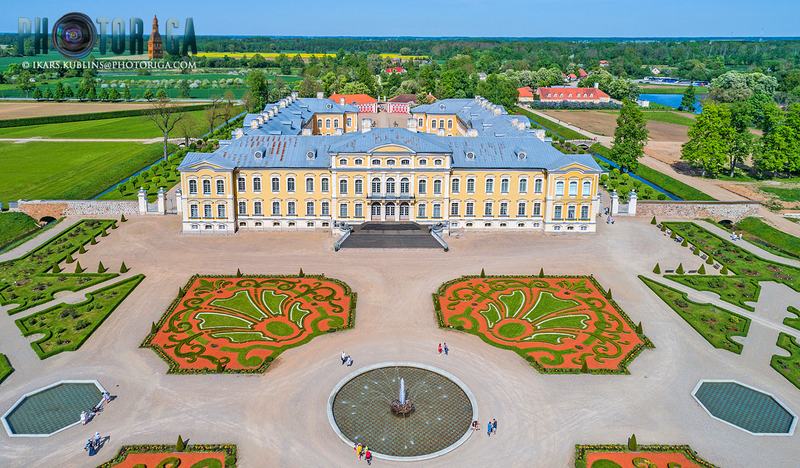 Almost all the time since renovation started (from 1976), the palace was led by it's legendary director Imants Lancmanis - a painter, art scientist and very enthusiastic professional. 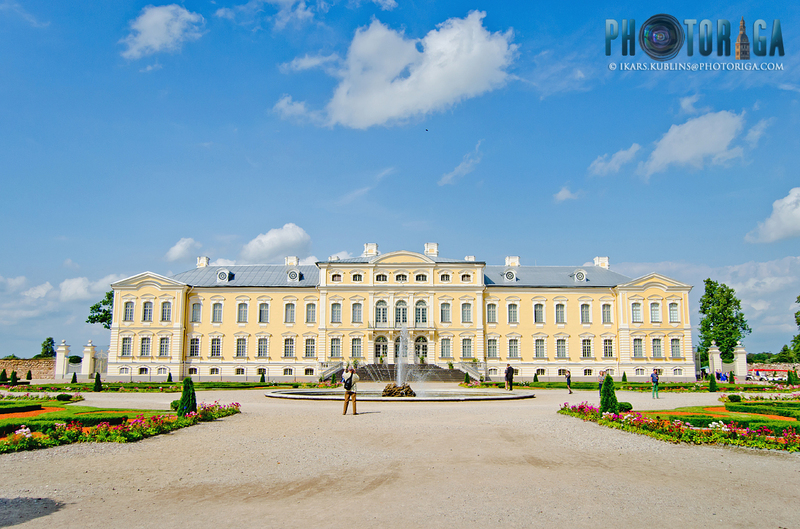 As he has told, his love to Rundale palace started as a deep desire to escape the bleak reality of soviet Latvia - he saw such an escape in the royalty atmosphere of the palace. 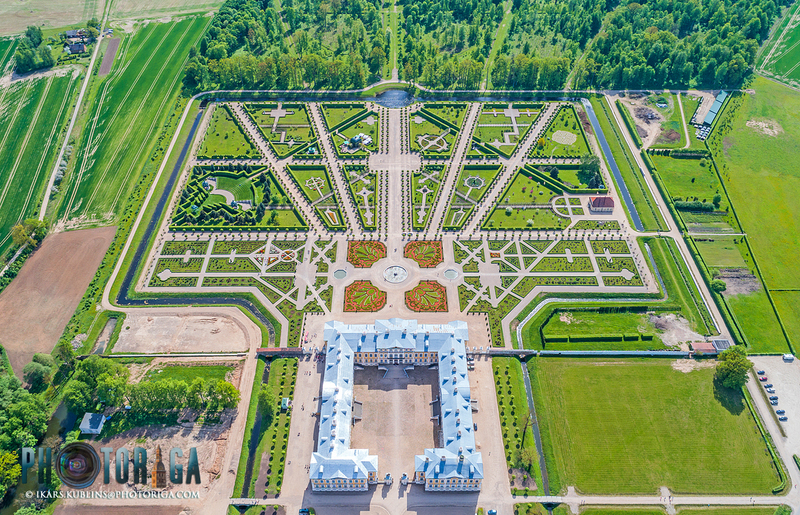 It's quite sure - Rundale most likely wouldn't been revived yet (or the renovation wouldn't been done in so professional way) without Lancmanis lifetime work and determination. 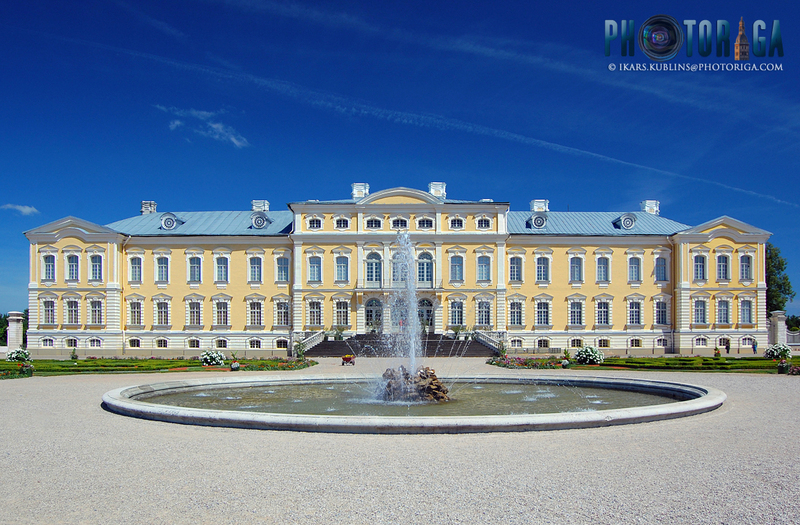 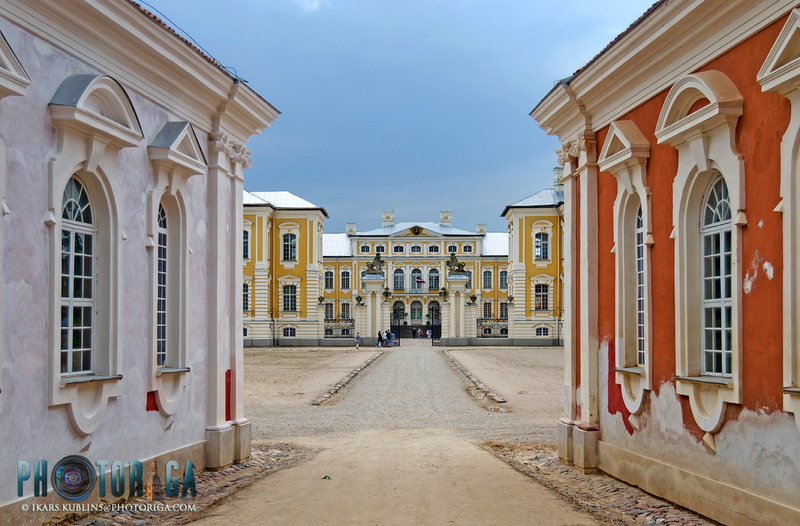 Just two years after construction of Rundale was initiated, von Biron started to build yet another, even larger palace just some 40 kilometres to north-west, in Jelgava town. He intended Jelgava as his central residence, while keeping Rundale as a summer residence. 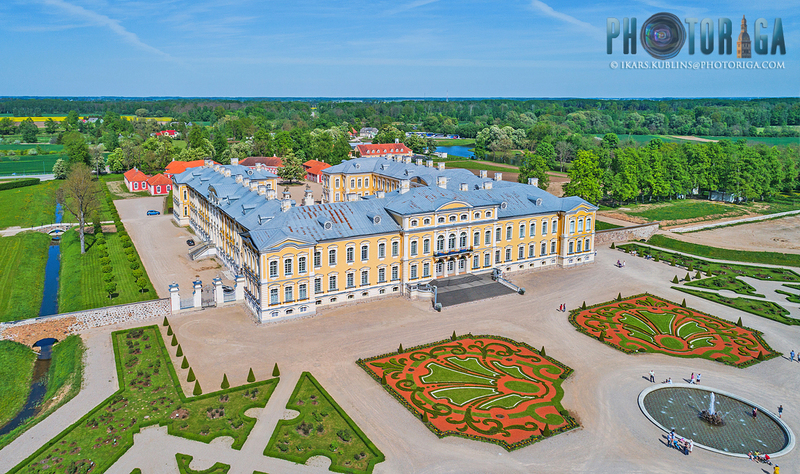 So, larger part of Biron's resources were invested in Jelgava palace, even some materials, decorations who were originally intended for Rundale palace, were relocated to Jelgava. 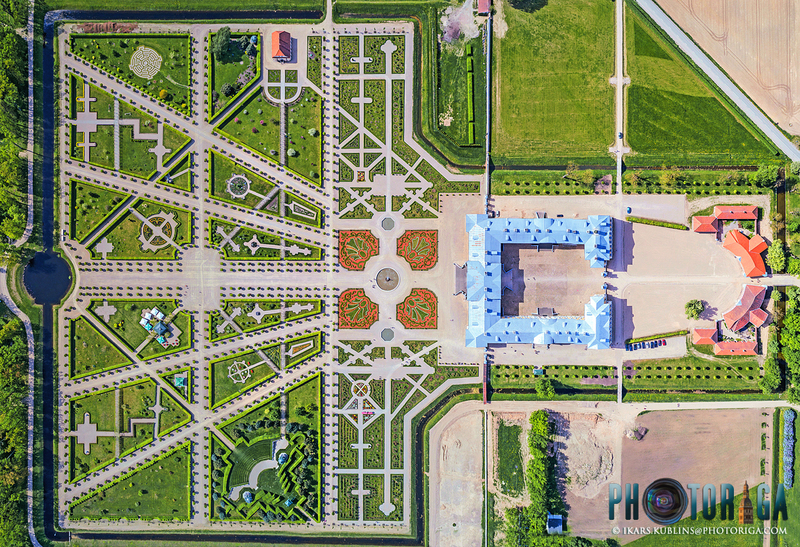 Thankfully, both palaces got finished. 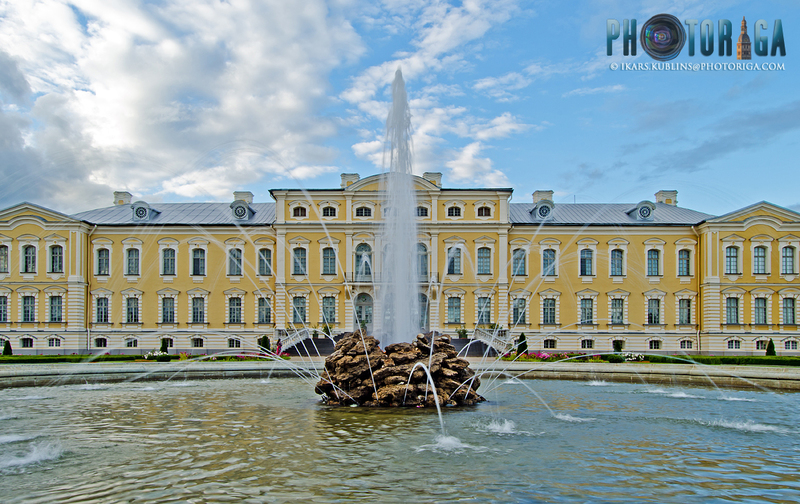 It's interesting that nowadays, despite of Jelgava palace being larger and also with more decorative exterior than it's sister in Rundale (Rastrelli was the architect of both), Rundale is the one which has turned out far more succesful and famous. 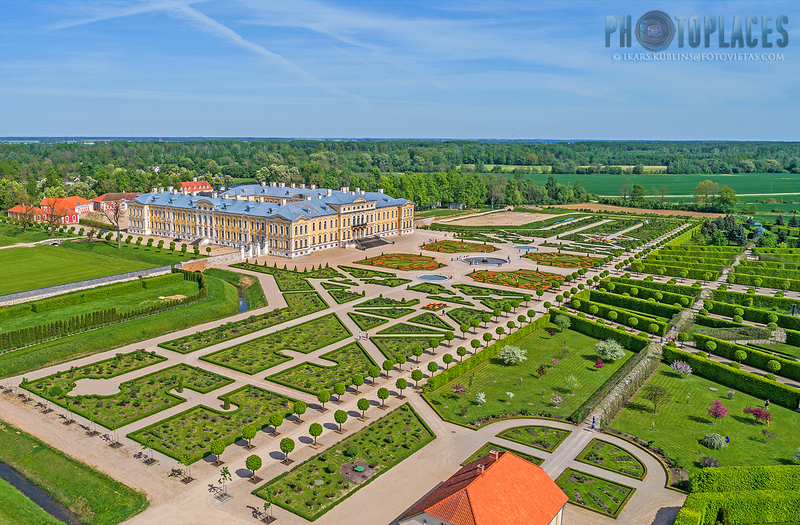 Of course, it's mainly thanks to the beautiful French-style garden and also more elaborated interiors which Jelgava palace lacks. 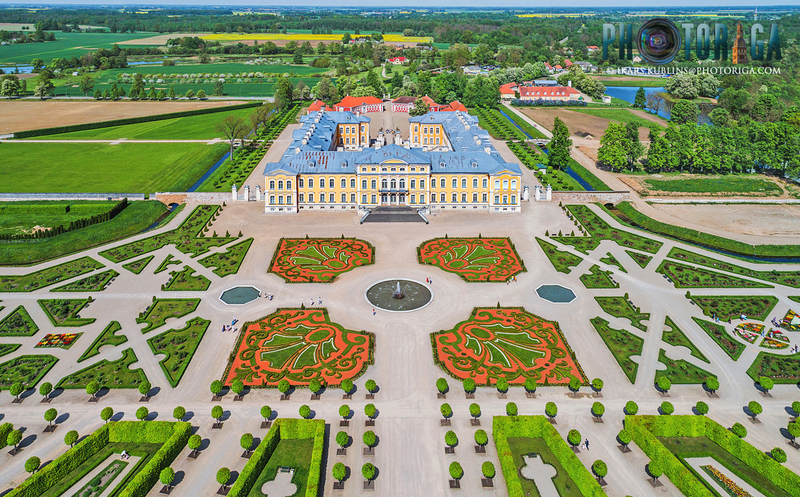 But there's something magical about the palace itself too - yes, Rundale may seem small and not so luxurious but it's sophisticated architectural language and harmonic appearance emits nobility like few other palaces do.